Report and Text Copyright By Lorna Houston and Cosmic Patterns Software, Inc. The contents of this report are protected by Copyright law. By purchasing this report you agree to comply with this Copyright. This report is about how you can increase your financial prosperity. Astrology is an excellent tool for removing any blocks we may have to prosperity and discovering whom we really are, so that we can realize our full potential of being prosperous. Because we are individuals, we each have our own vision of what it means to be prosperous, what to do with our money if we are prosperous, and what makes us want to be prosperous. We also differ as to what blocks may be standing in the way of our attaining wealth and what might make us still not feel happy if we did. That is why advice based on your own unique, astrological chart is the best way to connect to you, as an individual, with the ideals of the positive thinking experts and to guide as to how you, personally, can obtain wealth and be happy with it. The central idea which the positive thinking experts teach is that thought is creative, and that what thoughts you think ultimately determine your creation of wealth. When your rational mind is relaxed, your thoughts go into your subconscious mind and affect the way you feel and behave and impact upon others, even though you might not be consciously aware of it. Therefore, if you can relax your conscious mind and introduce positive thoughts about creating prosperity, these new thoughts will replace whatever other thoughts might already be in your subconscious mind. You will then, after whatever repetition of the new thoughts is necessary, feel, behave, and impact upon others in accordance with your new, positive, prosperous thoughts. This, in turn, will attract prosperity to you. That is because of the law of action and reaction (also called "the law of karma" and referred to in the biblical quotation of "As ye sow, so shall ye reap.") You are now putting out thoughts of prosperity, as these have become manifested in your subconscious and your actions, and now only prosperity can come back to you. The thoughts you choose to think determine your prosperity. That is the teaching. If you put together this general knowledge of how you can choose your thoughts and create what you want through your subconscious mind with a knowledge of whom you are as a unique individual, you have the best possible combination for creating wealth and having a good experience with it. For example, some people need to introduce a lot of positive thoughts to offset an ongoing negative state of mind, whereas some others, of a happy disposition, may manifest wealth quite readily at the very suggestion of it, but then not have developed the stability to handle it. The approach taken in this report is to identity your individual needs and temperament and then to suggest ways of creating prosperity which will work out best for you. Your sun sign shows how you radiate warmth, light, love and energy. If you give out all this goodness, you cannot help but receive prosperity in return. Money is really energy, and it has been said that wealth goes to wealth. The more that you radiate your true energy as to whom you really are, the more others will respond to your leadership, your self-confidence, and your positive inspiration. Your confidence in yourself gives you the innate belief that you are deserving of money. You then act as if it is natural for others to give you money, they follow the leadership of your divine inner Light. You are one with the Infinite Light within you, therefore have infinite potential to create wealth. Your key to prosperity is your higher mind. You have flashes of inspiration, and one good idea has the potential to make million. You may invent new gadgets which save time and money, or you may make new discoveries in science, electronics or astronomy. If you want to be the one who will benefit financially from your ideas, you will have to come down from the higher plane of thought at least long enough to make sure that you have patents and copyrights in place. Your approach to money itself is likely to be innovative. Rather than deal with banks or other traditional lending institutions, you are likely to live in a co-op, work in an employee shared-profit set-up, and use barter where possible instead of money. You may even belong to a group which prints its own currency, like Unity dollars. You attract prosperity by being a leader in bringing sunshine into other people's lives. You may do this by being an entertainer, musician, actor, camp director, day care supervisor or resort owner. Because you make others happy, through your generosity and positive inspiration, others are happy to look up to you and reward you financially. The key to using a sextile aspect to acquire prosperity is to take advantage of the many opportunities which come to you. This requires conscious willpower to be decisive, rather than just feel comfortable. As long as you are conscious of working at it, the energy you put out will result in a return of wealth. You have more energy potential than you may realize. You have plenty to give. Discover what you are really here to do and you will increase your happiness and prosperity. The more you give, the more you receive. Accept what others have to offer to you in terms of helping you be your real self. Do not ignore opportunities for self-knowledge and self-development; be receptive to them. You have a natural gift for building prosperity. You combine your artistic self-expression with your sense of what will last and make a positive impression on people. Your investments are likely to do well because you have good luck with money. You may prosper with a partner. On one hand, you value your self-expression. On the other hand, you are faced with what you may perceive as drudgery to make ends meet. The two goals of being yourself and making ends meet seem to be competing with each other, and you may become pessimistic. However, you need to resolve this dilemma in order to get over it and enjoy prosperity. Deal with any past emotional blocks, rather than avoid them. Consciously cultivate a positive outlook. Find ways to combine what you like to do with making money, it is just an illusion of negativity which is holding you back. Your Moon position is very important because it represents your subconscious mind and your receptivity to new beliefs about how you can attain prosperity. As your moon governs your feelings and emotional responses, the more you nurture yourself and create happy feelings, the more receptive you will be to thoughts about prosperity. So, neutralize any negative thought or feeling which comes up by first acknowledging it and identifying it and then affirming the opposite. For example, if you feel depressed because you do not believe you can make enough money, you can affirm "I am joyous and receptive to prosperity." At first, you might find the new belief hard to accept, but keep affirming and you will come to believe it. You created the negative thought, whether consciously or not, so now you can create a new positive thought to replace it. Own your own ability to transform your thoughts and the feelings they give rise to. Choose the positive and prosperity. Protect your positive beliefs and feelings. Nurture them. Associate with people who believe in you. Avoid negative people. Picture yourself being prosperous and build on that image. What you nurture will grow. Your philosophy of money is away above the outdated assumption that an economy has to be based on greed or fear. 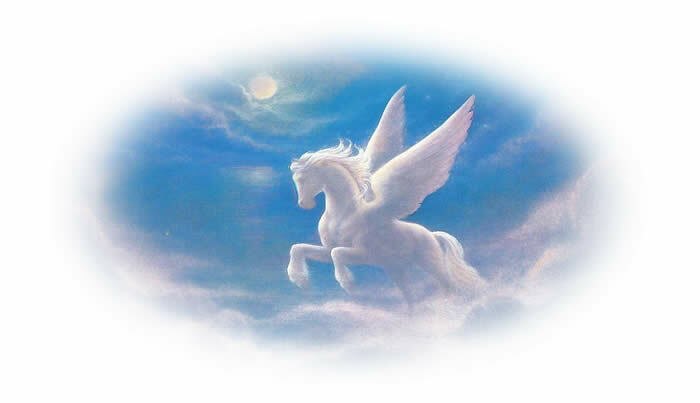 Your higher spiritual awareness guides you in living a positive approach to prosperity. You understand that if you are generous with others, they will be generous with you. Good karma is what could heal the economy, and you can be one of the leaders in implementing financial solutions and forgetting about the problems. Your positive thoughts influence your subconscious mind, and you manifest prosperity very successfully. Your family is likely to provide for you financially, by making sure that you have the housing, food, and other items you need. You are very close to your mother, and she may help you look after your children. In turn, you may care for her when she gets old. You are likely to inherit the family home. If you work, it will likely be in your home, perhaps providing care for babies and small children. Because of your emotional nature, you are advised to avoid risky investments, as they would be an unnecessary worry. You are likely to have a happy marriage and a nicely decorated, secure home. That is because of your excellent ability to create harmony. You are cooperative with your spouse in arranging the family finances. You can create a beautiful, attractive home environment which is conducive to domestic serenity. Your investments go well because of your confident vision of a happy future. Your prosperity depends, first, on replacing with positive core beliefs any resistances coming from your family or their beliefs about your right to be wealthy and happy. You need to nurture yourself with the positive beliefs which they were unable to provide for you. Once your core beliefs come from higher plane of awareness of an infinite, abundant universe, you will have faith and inner security. You will then be on the course to a happy, and have prosperous future. Here, you need to work consciously at harmonizing your inner emotional state with the outward impression which you give others. Otherwise, they could misinterpret your message as being too aggressive. There are two ways to achieve this: One is to alter your outward gestures to appear more friendly, such as learning to smile more. The other is make your inner state happier by introducing positive, prosperity affirmations into your subconscious mind. If you do the latter, others will feel your enthusiasm and take positive action to contribute to your prosperity. Mercury has to do with how you use your mind and how you communicate. The more you develop your mind and learn about different subjects, the more versatile you are and the more ways you have of becoming prosperous. Mercury also rules anything which works like the mind, such as computers. Computers can facilitate your studies and your communication with others. Because computers were invented by the human mind, they give us insight into how our own mind works. We can use our minds to figure out ways in which computers can increase our prosperity. Communication can lead to prosperity, whether it involves staying where you are and sending a message or actually traveling to another location to deliver it. Mercury represents to the messenger - the ways in which one mind can communicate with another. The sharing of objective information leads to many opportunities for prosperity. You are a brilliant, innovative thinker and you could find financial prosperity in one of your unique inventions. You have a natural understanding of how wealth is first created in the mind and then carried out in everyday affairs. One good idea can be worth a million dollars! You would be a computer genius, and this may be your source of prosperity. You have an excellent mind for detail and you may be successful in the health or nutrition field, where many precise facts need to be remembered. You are concerned about cleanliness and could work as a cleaner or perhaps as a public health worker or environmental worker concerned with clean air and clean drinking water. Your pattern of thought for acquiring prosperity is that it is received in return for being of practical service to others. It is best if your path to prosperity involves active, busy, physical work, so that your high energy level will not result in your becoming argumentative. You can cope with situations which others could not, such as being a cashier with a line-up of customers or a waiter/waitress in a busy restaurant. Your work is fast, accurate and efficient and worthy of good financial returns. This is a perfect aspect for positive thinking about prosperity. You have a superior mind and an abundance of faith. You would make an excellent motivational speaker or writer. You would know how to persuade others that the creation of wealth is possible - that prosperity is first created on the level of the mind and is then manifested. It is a matter of rising above the problem to the level where new beliefs are created, and then the relativity of the problem can be clearly seen. Use your ability to uplift others and you will attract prosperity in return. Be a lecturer, publisher, broadcaster, or spiritual leader and teach the path to a prosperous life. You have ready access to depth of thought and the power of the spoken word. The challenge is to harness these intense, powerful energies and direct them towards your prosperity. You can be successful here because it is from thoughts that prosperity is created. What you affirm is what you create. So, if the thoughts you introduce with your willpower are positive and prosperity-oriented, you will have a very powerful way of producing results. Venus rules the ways in which you relate to others and to the environment around you. It rules how you cooperate with others to make money and what attitudes you have about money and possessions. Venus rules the sign of Libra, which relates to harmony and balance. Within yourself, you can best create prosperity if your male and female energies are balanced - that is, if you both affirm positive thoughts about money and receive them into your subconscious. You will then interact with others in such a way as to inspire them to aid your prosperity and be receptive to the prosperity they will create for you and ultimately with you, as you both move forward together and share your growing wealth and happiness. Venus also rules the earth sign of Taurus, which has to do with actual tangible wealth. As you work and create actual, tangible things in your environment, you will receive, in return, actual, tangible money and possessions. If you feel secure within, and affirm that you own enough money and possessions to be secure, you will create this reality and keep building more security for a happy and prosperous future. You stand to make good money from your innovative ideas. New ideas are valuable, and others will pay you for them. You could succeed as an inventor by getting one good idea patented and then making money every time one of your inventions is sold. You could profit from anything electrical or electronic, such as computers. Your network of friends could be a good source of money-making opportunities. Your approach to investing would be unorthodox, but will still be inspired. This is a very strong position for acquiring large amounts of money. It favors successful investments in stocks or commodity trading as long as you know what you are doing. You have both an earthly understanding of the material side of wealth and good luck. You could do well as an artist or art dealer. Your partner may be a source of financial well-being. You could make good money in recreation, theatre, or tourism. You need to consciously cultivate a positive outlook about money, rather than just associate it with hard work, debt, or lack or enough money. Your past experiences may have made you very serious, but remember that this is a new moment and have positive faith. People will be more likely to hire you or do business with you if you are friendly and non-controlling. Be open to receiving money, so that you are not blocking it from coming to you. Re-define yourself as being worthy of it. Mars gives you the energy and get-up-and-go to achieve prosperity goals. Mars gives you the physical strength and well-being to carry out your work with enthusiasm. It provides you with the initiative to start new ventures and the momentum to forge ahead in spite of obstacles. Mars lift you out of the past and into the present. How can you achieve prosperity now" Where can you apply your initiative and become more independent" What kind of new venture would you like to start"
Mars gives you self-confidence. If you believe in yourself, you can create prosperity. You can promote yourself and your products with ease. You can convince the buyers that they, too, will feel good about themselves if they buy your products. You are very positive and courageous in being able to turn your finances around and go from debt to riches. You have a natural understanding of financial strategies and investments, and you are aggressive about making other people's money work for you. Make sure that you use this ability in a positive, wise way, so as to attract only positive karma in return. You would be able to make money dealing with topics which others would lack the courage to touch, such as wills, taxes, insurance claims, or detective work. You are very quick and energetic in your actions and could prosper by making deliveries, repairing telephones, cashiering or responding to emergencies. You would make an excellent reporter, because you would get the information before anyone else, have your story written, and have it submitted for publication. If considering different financial investments, you would very quickly research the advantages and disadvantages of the various options. You would be happy with a diversified portfolio. This aspect gives you tremendous ability to envision higher, inspired goals and then to work towards them. If your goals involve receiving a large amount of money in order to make the world a better place, you are likely to bring this into being. You understand how higher thoughts are the source of physical reality, and you are able to use this power. You are very original and inventive, and you could make your living coming up with new ideas for better electrical and electronic devices or selling such devices. This is an indicator of very unusual energy, willpower and intensity. It is very important that you set positive, broad-scoped, prosperity goals and work to achieve them. You have such tremendous potential to accomplish great good than most people, and to receive more rewards in return, that it is essential to your life's purpose that you take the high road rather than the low road. Find an intensely positive direction for your willpower, and proceed along that path to become very fulfilled. Jupiter is a very large planet, and it rules growth and expansion. You can grow in your prosperity by expanding your mind to see the many possibilities which are available to you. You can travel and see new ways of making money or expanding your business to other places. You can hire people to work for you and thereby multiply your efforts and your profits. It is through Jupiter that you are connected to your higher inspiration and your source of faith that you will be prosperous. Jupiter's energy is benevolent, optimistic and generous. If you give freely to others, in the faith that the source of prosperity is infinite, you create goodwill. You create a win-win situation where everyone involved will give to one another, and everyone will benefit. This is how a prosperous economy is created: If everyone keeps spending in the belief of a positive outcome, that outcome will be created. If you put together Jupiter's ability to believe that new, positive goals can be achieved with Saturn's self-discipline to carry them out, you can actually manifest a huge amount of wealth. You are likely to increase your income through higher education, lecturing and travel. You communicate goodwill and positive faith to others and they respond by enhancing your prosperity in return. You could be successful in publishing or communications, perhaps through importing or exporting. You may teach in a university, as you are an excellent student and instructor, and you get along very well with many people. Your carefully considered investments will pay off very well in the long term, and you can look forward to prosperity and travel when you retire. You are motivated to get to the top, and you will work hard and get a good education to increase your earning ability. Because of your honesty and diligence, you are likely to work your way up to a high position and be recognized for your good services. Make sure that you do not hold back your opportunities for prosperity by being too self-critical; keep a positive; broad-minded attitude. Saturn rules the setting of goals and the work to achieve them. In order to get ahead, it is all well and fine to have dreams, visions of possibilities, and enthusiasm, but what is also needed is the discipline and focus to choose the best, most practical possibilities and then put in the necessary labor to achieve them. If you have first explored many options, with your Jupiter, Saturn will give you the wisdom of discernment - the ability to decide from your vast, accumulated knowledge of what will work and what will not. Provided that you have already explored your visions and dreams thoroughly, your choice of action will be one upon which you will embark with enthusiasm and inner calmness. The work which you will do to carry out your chosen aims will not really seem like work, because it will be what you have already decided, beyond any doubt, is the thing which you most want to do. You will be able to handle, with ease, the responsibilities connected with it. Saturn then, rules the actual manifestation of goals and the actual wealth, honor, and recognition. You could prosper from your dependability and willingness to work hard in the area of handling other people's finances. You would be very honest in dealing with taxes, inheritances, investments, or accounting. As for your own investments, you would apply the same diligence and hard study to research the most beneficial possibilities. You understand the strategies which others try to use to get ahead, and you would not be fooled. You have a disciplined and exacting mind, capable of long hours of study to reach your career goals. Your career will involve some form of precise writing, reasoning, or communication such as editor, mathematician, teacher or secretary. Your work may involve spending long hours on the telephone, perhaps giving out information or taking messages. You are careful to do all of the necessary research before investing your money in anything. This is a favorable aspect for earning respect and a good reputation. You are serious and hardworking but able to get along harmoniously with others. These qualities will help you advance in your career or business to a position where you will make more money. Others are impressed by your sense of honesty and fairness, and they like to hire you and deal with you. Your honesty, hard work, optimism and benevolence have put you in a position of lasting prosperity. You set very high goals and standards for yourself and your karma, in return, is to be successful and happy. You have a great deal of faith and breadth of vision, so that the work you do is well guided in its direction. You set a wonderful, inspiring example for others, and you find great joy in seeing them follow in your footsteps and happily succeed. Uranus rules freedom, and the freedom which prosperity can bring. Uranus rules your higher mind, in which your thoughts, hopes, and wishes can be infinitely free. It rules your highest ideals, which prosperity can enable you to attain. Because your higher mind is the source of your sudden flashes of intuition, Uranus is associated with sudden changes in your prosperity, for better or for worse. If your thoughts have been genuinely free, as in the meditative state, you can suddenly win prizes or attract prosperous offers, seemingly out of nowhere. If your thought have been too controlled, you are likely to lose money suddenly, as an expression of Uranus trying to tell you to break free from your oppressive circumstances. You then need to affirm your right to freedom of thought to attract prosperity. Affirm that Divine Light flows through you, so that the ideals in your higher consciousness will come down into your everyday life. Be inventive. Use group energy to create synergy - individuals working together to free themselves and claim their divine right to be prosperous. You were born into a generation of people who experimented with ways of bringing economic efficiency into their housing expenses. They came up with such ideas as communes, co-ops, and condominiums. The idea was that if certain costs were shared, each individual would pay less. Different methods of child-raising were explored, such as day care, which radically changed the economy by enabling your mother to go out to work. You were born with a talent for making group energy work for the benefit of all. Think of the success you would have if you started a prosperity group! Everyone would come up with unique ideas and help each other. You understand how interpersonal cooperation leads to saving too. For example, a food co-op, in which everyone donates a few hours of work, allows you to get healthy food at low prices. A condominium, in which expenses are shared, is cheaper than a house, and so on. The energy of Neptune is very subtle and beyond the realm of attachment to money. In fact, Neptune rules Pisces, the sign of the fish, and its influence is just to make money flow in and out of your life without paying conscious attention to it, just as the water flows along where a fish lives. 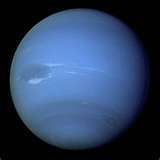 The influence of Neptune has to do with sharing with the less fortunate in a compassionate way, in order to keep the flow of money going. If money flows into your life, it needs to keep going and keep the subtler, karmic cycle going. If you share with others in their time of need, you will be provided for by others in the future. Some individuals choose consciously to renounce their money and possessions in favor of living a more spiritual life. They find happiness and fulfillment in values which are above and beyond the material plane. Some access that higher plane and come back with creative inspiration for their artistic endeavors or channeled insights from higher, spiritual beings which can assist others. You were born at a time when there was movement to achieve equal rights for the poor, and to treat them as equal partners. The ideals of love and compassion predominated and, even when there was not a lot of money, there was enough sharing and kindness that everyone had enough. You would have talent as an architect, because you could envision how a nice, new building would look and then be able to get it actually built. You dream of wealth and may be able to make your dreams come true if you can become focused enough and grounded enough that you do not just let the dreams be sufficient, rather than do the actual work over time to make them happen. You also need to make sure that, if you acquire money, you keep track of it and do not just let it disappear. This aspect has to do with the age in which you were born, rather than with your prosperity as an individual. Most people alive today have this aspect in their natal chart. Economically, it is a relatively fortunate age, in which peace and financial security ultimately prevail. There are major challenges of lack and danger to overcome, but ample opportunity for compassion and regenerative willpower to win out and solve these problems. The contribution of Pluto the outermost planet - to our prosperity is to help us realize that the most extreme transformations imaginable are possible. For example, if you have lost money, it is equally possible that you can gain money, and even more than you had before. Because prosperity is first created in the thoughts we choose to think and then in the manifested, physical, outer world, it stands to reason that the more deeply and intensely we think our thoughts of prosperity, the more prosperous we will become. Pluto gives us that willpower to reach the deepest, core beliefs which we have in our unconscious mind. Once we identify and transform our core beliefs, huge, far-reaching changes will occur in our prosperity and our happiness. Pluto also rules the economy on a mass scale. We are influenced by the overall world trends and we, in turn, have an influence on them. If we use our willpower to rise above mass consciousness, we can still be prosperous in any economy, because we ultimately create our own reality. You were born in an age o when much of the economy was centered around games and toys for growing children. The emphasis for adults, too, was on recreation. Activities such as camping and going to summer resorts were popular. Construction of schools was a major economic activity, because of the large number of children of school age. On the international level, there was the development of super-powers and the need to harmonize their theories of economics. If you can successfully tap the resources of your unconscious mind, you can make a fortune. You are very psychic and able to receive answers through channeling or telepathic communication. In order to do this successfully, you need to be a clear channel. Deal with your emotional baggage; avoid drugs and alcohol; and have spiritual motives. If you do acquire substantial money, you will be most fulfilled if you use it to help the poor, the handicapped, and the victimized. Use some of your money to live in a quiet place for further meditation, such as a retreat out in the country by the sea. Your Ascendant represents your own self-expression. Once you have combined your positive, conscious thoughts for prosperity with the absorption of these thoughts by the subconscious mind, your new, outward expression shows the world how ready you are to acquire prosperity. Traditionally, your Ascendant indicates your career " the area of life where you are best prepared, and best talented, to offer your work to others in exchange for money. On the higher level, your Ascendant represents your mission in life, your outward path towards making the world a better place. In return for doing this, you receive prosperity. In your own, self-expressive mission, you are going beyond the expectations of what others think you should be doing to achieve your own, higher goals. Your Ascendant is your outward personality, the impression which others first have of you and what they most immediately respond to. Sometimes first impressions are the basis of whether others are willing to do business with you. However, remember that your Ascendant has the input of your conscious and subconscious mind; therefore; others are really responding to your deeper thoughts and affirmations as well. Your prosperity comes from being of practical service to others. You may care for their health or you may provide them with accurate bookkeeping, or some other precise skill, perhaps working with your hands. You are very careful and cautious in your financial dealings, and your honesty pays off. You are a conservative investor, preferring to take little or no risk and to make modest rather than dramatic gains. You manage your money very well and budget for the items your need. You will be responsible about saving enough money for your retirement. Because you are so outgoing and cheerful with others, they readily see the great joy which you feel within. You are happy because you have a harmonious marriage. You share with your partner the great joy of being alive, and the happiness which comes from your mutual, positive outlook. You find great fulfillment in reaching out to others and sharing your enthusiasm with them. You readily gain their participation in the joyful celebration of life. Your Part of Fortune is a special, astrological indicator of your prosperity potential. It is shown in your chart by a circle with an "X" in it. It represents a position calculated from your Sun, Moon and Ascendant, rather than being an actual planet in the sky. It is a symbolic representation of where the energies of your Sun, Moon, and Ascendant best work together for your prosperity and well being. Your Part of Fortune is one of several of what are called Arabian Parts, from Arabian astrology, which pertain to different aspects of your life, including your prosperity. Your Part of Fortune has a connotation something like that of Jupiter, but it goes beyond Jupiter. It represents prosperity, wealth, optimism, benevolence and good fortune like Jupiter. However, it also represents your awareness within and how you focus it on prosperity. The Sun, Moon, and Rising Sign (Ascendant) were already there, outside of you, when you were born. However, it is through your own conscious willpower, having command over your subconscious beliefs, and expressing these new, positive beliefs, that you achieve prosperity. It is in your overall, individual aura that your prosperity potential is expressed and this is represented by your Part of Fortune. Your joy comes from nurturing life in all its forms. Your own birth was a great joy, a divine miracle from which you derive inspiration. You are now celebrating the miracle of motherhood every day and facilitating the creation and enfoldment of life and its divine potential. What can be more prosperous than to witness the growth all around you" What can be more fulfilling than to be a part of it, helping it along and responding to its needs with care and protectiveness" The fertility of the earth and the infinity of the heavens represents infinite prosperity! Your great joy and prosperity in life comes from your higher vision of how the world could be and how you, yourself, have a meaningful role in providing the genius and wisdom to help it evolve. You celebrate your intellectual freedom the freedom to rise above society's problems and explore creative solutions which are "outside the box". You celebrate the opportunity to explore potential solutions with other like-minded individuals. You are also grateful for the infinite supply of positive ideas which spring from your Higher Mind.